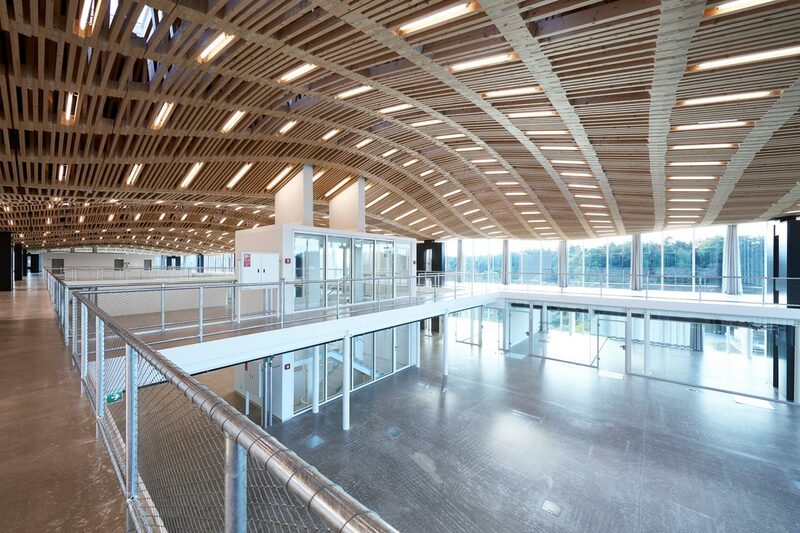 The Arch_Tec_Lab of the Institute of Technology in Architecture (ITA) is covered by a novel timber roof structure, developed and planned at the Chair of Architecture and Digital Fabrication. 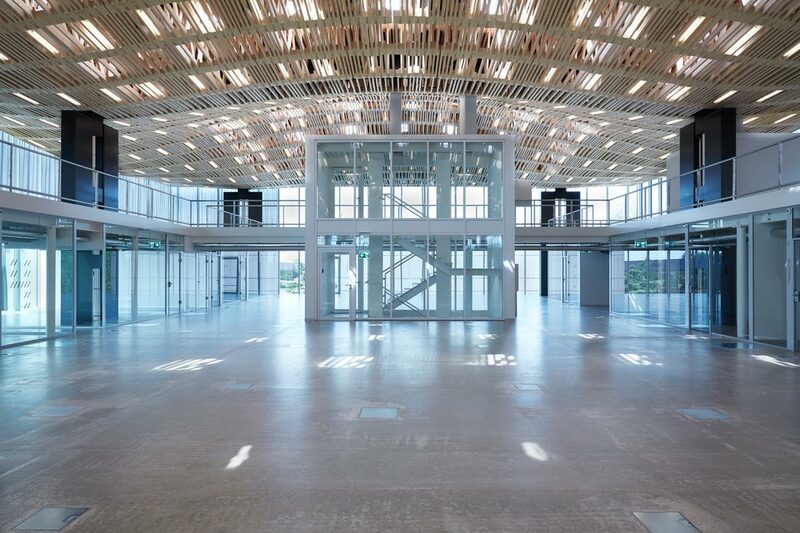 The structure consists of 168 single trusses, which are woven into a 2,308 square meter free-form roof design. 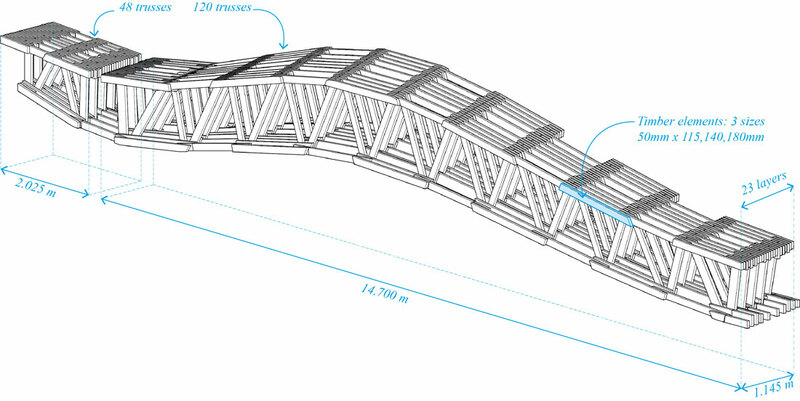 As such, an integrated digital planning process connects design, structural analysis and the generation of fabrication data. 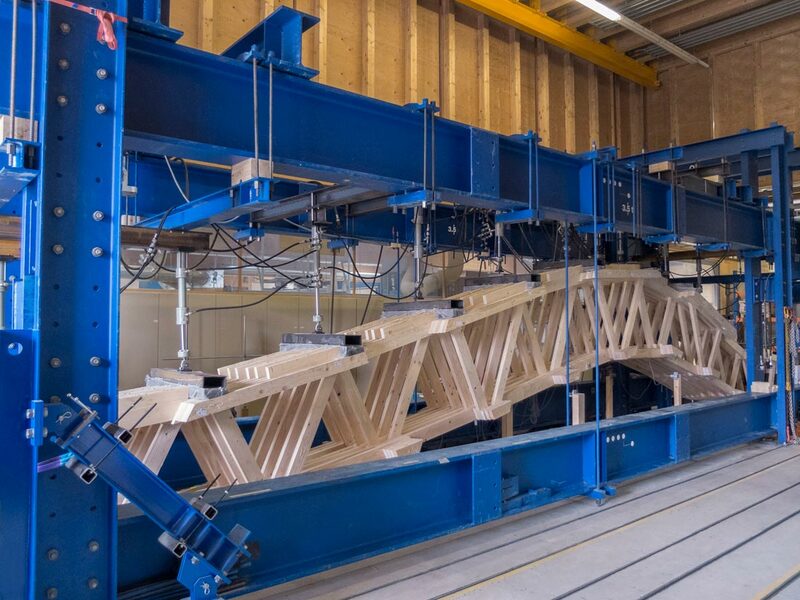 Based on this data, a robot-based assembly process joining 48,624 timber slats to individually formed trussed beams allows an efficient fabrication of the complex roof geometry. 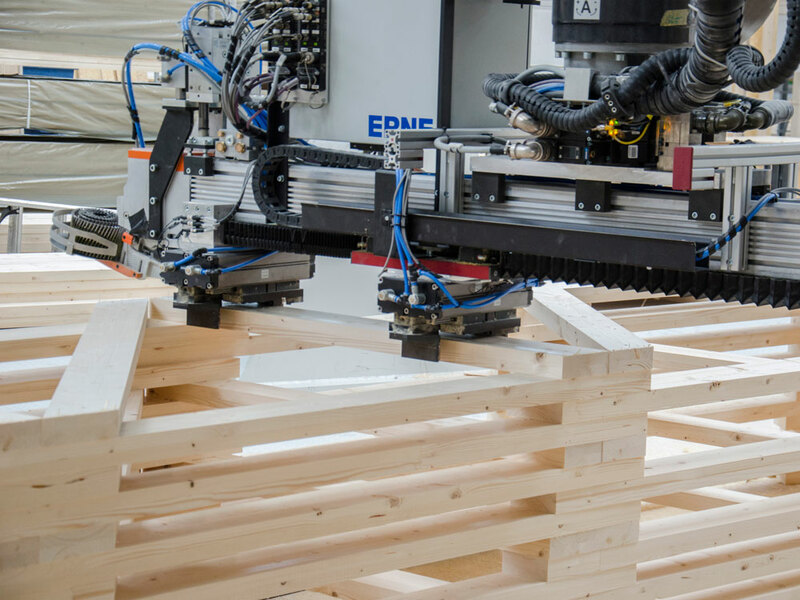 The project demonstrates the potential of combining digital fabrication technology with timber as a local and sustainable building material. 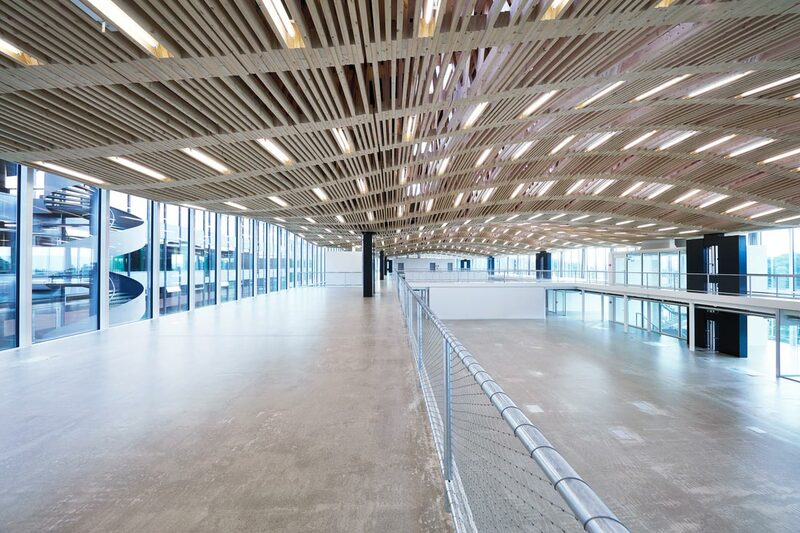 In collaboration with experts from academia and practice, the Chair’s research results in the field of digital timber construction are being condensed and applied at full architectural scale. 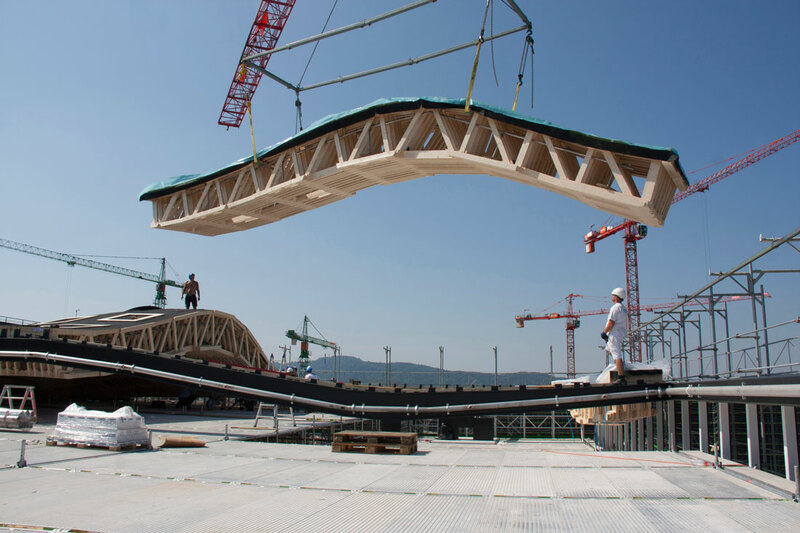 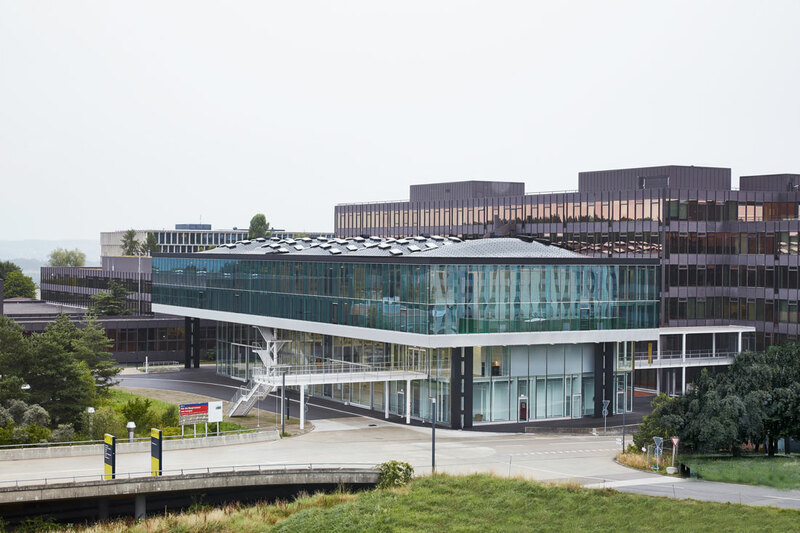 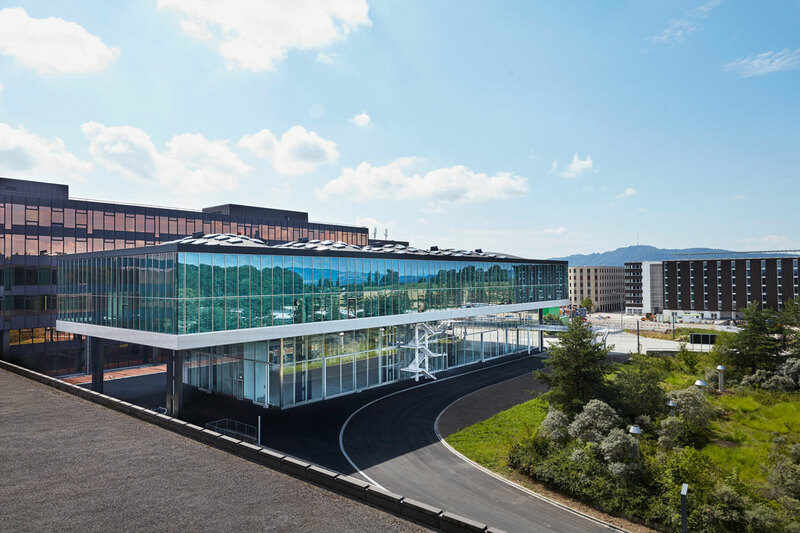 The Sequential Roof was planned by Arch-Tec-Lab AG and manufactured by ERNE AG Holzbau.